Ilchester Aqua Decor Ceramic polished tile 110mmx250mm. A patterned aqua coloured brick decor tile, handmade in appearance. The Ilchester aqua decor tile is a very versatile collection that combines style, subtleness and charm thanks to its great combination possibilities. 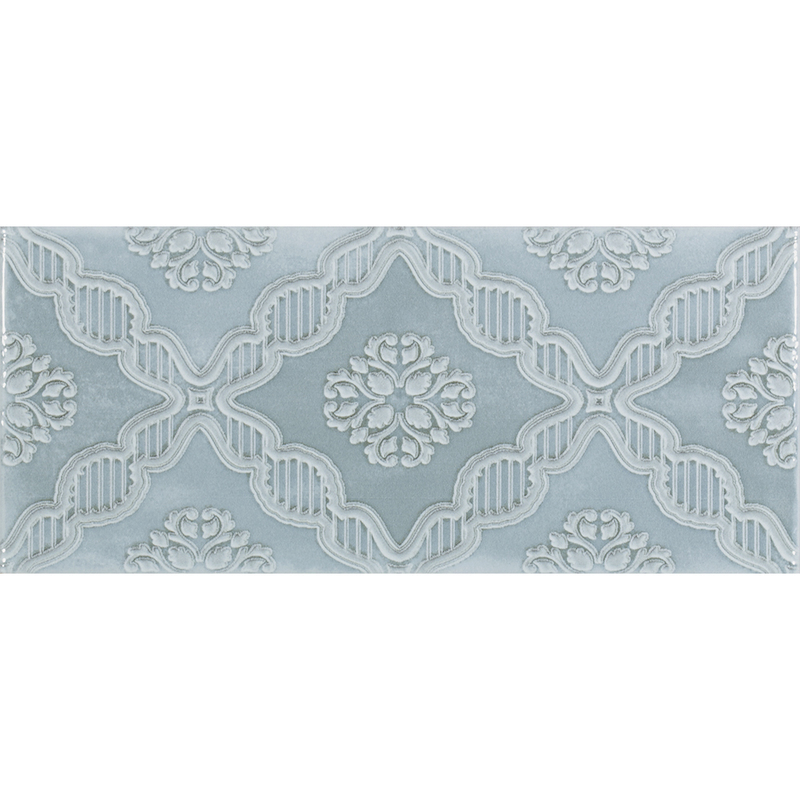 Pair with the Ilchester aqua tile to complete the look. There are 6 different pattern designs in this range and they are sold as a mix. They are sold in full boxes only to ensure that you receive a mix of patterns, however we cannot guarantee how many of each pattern you will get in the box.